HMF LOW APR BONUS CASH $500 HMF Bonus Cash available on all 2018 Hyundai Tucson vehicles purchased from dealer stock between 04/02/19 and 04/30/19. Customer must take delivery from retail stock by 04/30/19 See your Dealer for complete details and qualifications. Closed end lease for 2018 Hyundai Tucson SE (84412F45) available from 04/2/19 through 04/30/19, to well-qualified lessees. Offer valid only when financed through Hyundai Motor Finance. Not all lessees will qualify. Higher lease rates apply for lessees with lower credit ratings. Offer shown based on $2,299 due at lease signing (includes $209 first payment and $2,090 capitalized cost reduction). No security deposit required. MSRP $23,530 (includes destination, excludes tax, license, title, registration, documentation fees, and cost of optional equipment). Third-party fees vary by state or locality. Net capitalized cost of $16,848 includes $650 acquisition fee. Dealer contribution may vary and could affect actual lease payment. Lessee responsible for insurance, maintenance, and repairs. Monthly payments total $7,524. Option to purchase at lease end $11,765 plus tax and purchase option fee. If not purchased at lease end, Lessee shall return vehicle and pay disposition fee, as well as $.20 per mile over 12,000 miles/year, and excess wear and use charges. Purchase option and disposition fees apply except where limited by applicable law. Must take delivery of new vehicle from dealer stock by 04/30/19. See participating dealer for details. Finance for $522 per month at 5.99% APR for 72 months with $0 down payment. Payment expires on 04/30/19. Lease for $356/month for 36 months with $2,000 due at signing including $0 Security Deposit and 12,000 miles per year. Payment expires on 04/30/19. Estimated Lease payment based on 36 months and $2,000 due at lease signing. Cash due at signing includes $8,145 capitalization cost reduction, which includes $650 acquisition fee, plus a required security deposit of $0, and first month's lease payment of $356. Excludes title, taxes, registration, and license fees. Total monthly payments equal $20,952. Mileage charge of $0.20 per mile over 12,000 miles. Not all consumers will qualify. Residency restrictions may apply. 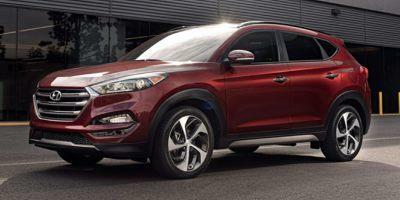 The new Hyundai Tucson is now available to Newark-area drivers. This small SUV is adaptable and a great choice for families. Offering up to 25 MPG in a city or 30 on a highway, you'll get from point A to point B quickly and save money on gas. The Tucson also has top-rated safety features including a driver's blind spot mirror, a Tire Pressure Monitoring System, and Electronic Stability Control, allowing you to drive through potholes, on dirt roads, and other rough road conditions with peace of mind for your tires, your safety, and the performance of your vehicle. With a spacious and comfortable interior, your family and friends will adore riding with you around Newark in the Hyundai Tucson. Look through our inventory online to pick the right new Tucson model for your budget and lifestyle, or give us a call at 302-722-4493 with any questions you have.